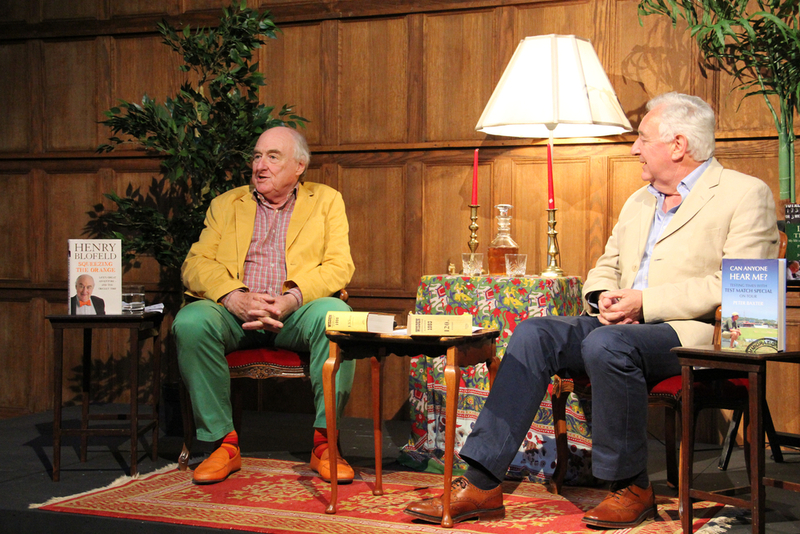 Cricket legends, Henry Blofeld and Peter Baxter entertained matinee and evening audiences in the Flint Halls at Folkington Manor with a trip down memory lane. Their show is hilariously entertaining for both cricket and non-cricket lovers alike, sharing untold tales from the Test Match Special commentary box and beyond. Guests were further able to enjoy an intimate drink and book signing in the bar afterwards, sharing further exclusive behind-the-scenes adventures about the characters that make TMS so special. If you missed them this time round, you can catch their run in Edinburgh and other venue, see the trailer below!